The plight of Afghan interpreters risking their lives to help foreign troops is well known – they are at constant risk. This led Danish veterans to speak up for them in an open letter, criticizing their government for denying their ‘comrades’ asylum. The problem is simple: the Taliban kills anyone working with any foreign forces in the country. But protecting the interpreters has not exactly been on the occupying forces’ priority list. The Danish parliament adopted a measure in 2013 called the ‘interpreter package’. After all, the Afghan natives virtually had no protection in their own country. The government, however, did not keep its promise, leaving 42 native interpreters without an entry visa to Denmark, which in this particular case could virtually mean leaving them to be killed. The letter, published on Facebook last Saturday, lays out exactly what’s wrong with that attitude. It was signed by 200 Danish soldiers of different rank and unit, who believe native interpreters to be their brothers in arms that deserve as much protection as a Dane. The text as cited by the Local, says “no interpreter or other local employee that has assisted the Danish efforts in Afghanistan will be left in the lurch in connection with the reduction of the international engagement in Afghanistan. “We veterans and soldiers take it very literally when it is said that we won’t leave anyone ’in the lurch’. Those words are binding! We don’t believe in any way that the rest of the agreement’s wording or the way it has been administered lives up to the preliminary message. You are, in other words, actively leaving our Afghan comrades ‘in the lurch’,” the letter continues. It goes on to list various examples of bravery and loyalty of their foreign comrades. It talks of the interpreter law as shameful and outlines just how difficult it is to look into your friend’s eyes and tell him he’s not going anywhere. “We consider these young men who have sweated, cried, bled, fought and in some cases laid down their lives with us to be our comrades and our closes allies. They deserve just as much respect and gratitude for their efforts as we do, if not more. Unfortunately, we must observe that you politicians do not have an adequate understanding of how great an effort these young Afghan men exerted for the Danish combat soldiers in Afghanistan,” it also states. Danish broadcaster DR talked to the architect of the letter, Captain Mads Silberg, who explained that the procedure of gaining asylum in Denmark carried with it “an unfairly high burden of proof” on the Afghans just to prove they were in danger of being killed, the Local reports. “We think that their efforts warrant us showing them trust and respect by believing what they say. They have earned a special status,” he went on. Silberg’s views are hardly different to numerous American accounts of camaraderie with local interpreters, which sadly often ended in the death of the interpreters they had befriended. 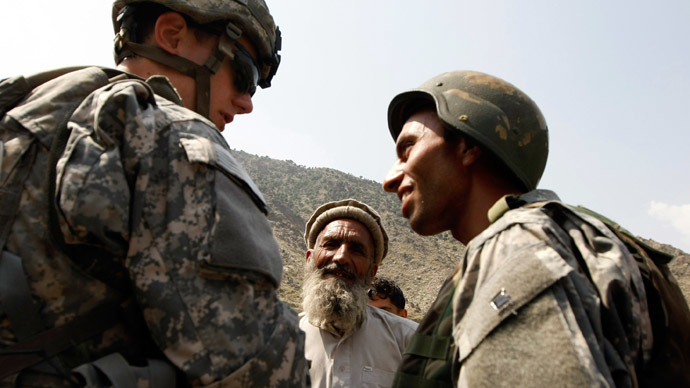 “Afghan Interpreters are throwing themselves at the altar of freedom only to be left to die. To State Department bureaucrats, these men are pieces of paper, but to thousands of American soldiers, they are brothers in arms,” Company Commander Rusty Bradley wrote. But the open question is how the Danish government will react to the letter. “They [the soldiers and veterans] are saying that they are affected by the situation and I understand that. They can’t be callous toward their comrades. But we aren’t callous either. We must trust facts and the case handling that is occurring and I have full confidence in that,” DR learned from Karsten Nonbo, a member of the Interpreter Task Force, set up in 2013 and comprised of Danish officials. Their task was to process interpreter applications for asylum.